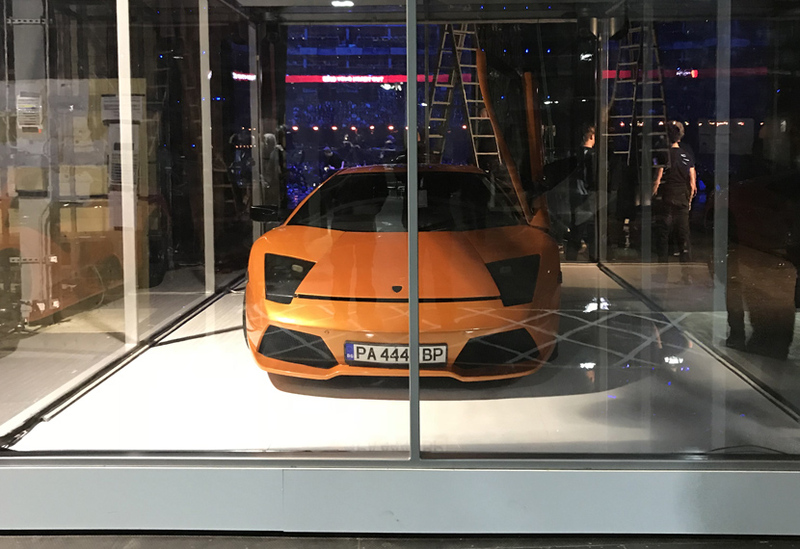 Demonstrating an impressive turnaround, we created a ‘’glass box’’ to display a luxury car and provide a platform for Kendrick Lamar’s controversial performance at the 2018 Brit Awards. Once briefed, the box was cut, fabricated and installed on site within five days. 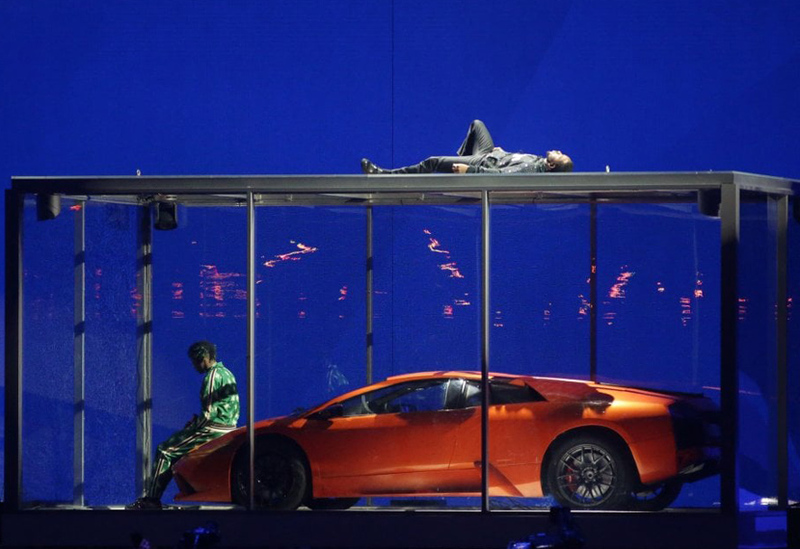 The 3m-high, 6m-long box was constructed with a steel frame and steel grid floor, providing a strong base for the Lamborghini car and performer inside. 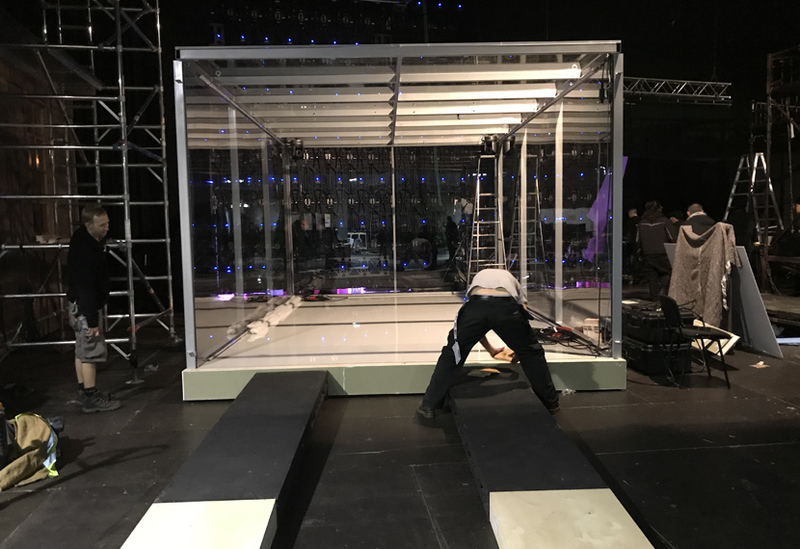 Triple swivel castors were fitted to enable the piece to glide smoothly into position on stage, despite the 4.5 tonne payload. 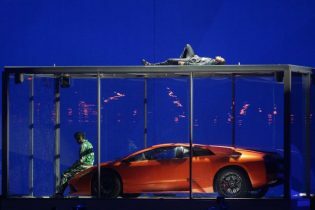 The walls were clad with panels of 10mm polycarbonate, a performer access hatch cut in one end. 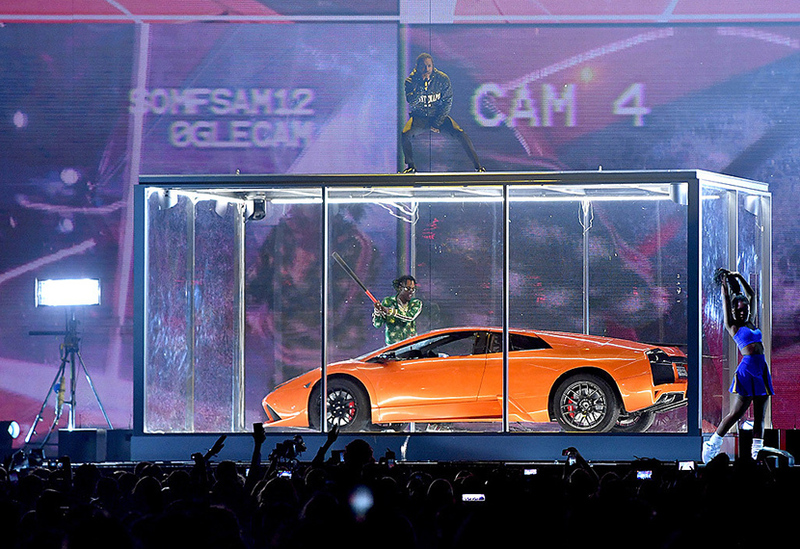 The steel beamed roof was clad with 20mm acrylic and constructed strong enough for the rap star to perform standing, or lying, on top throughout. 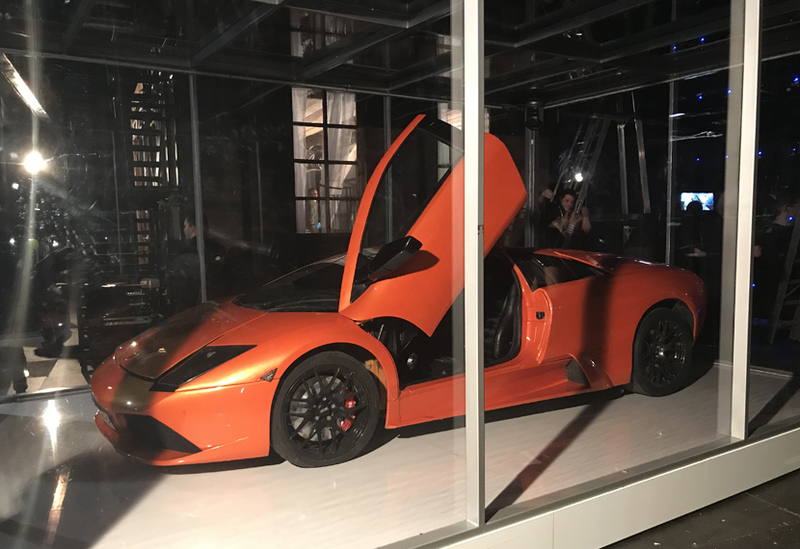 Inside, LED lights and a series of cameras were fitted around the internal perimeter and the car was installed onto the white Dibond floor via specially made ramps. The show was broadcast live on ITV.